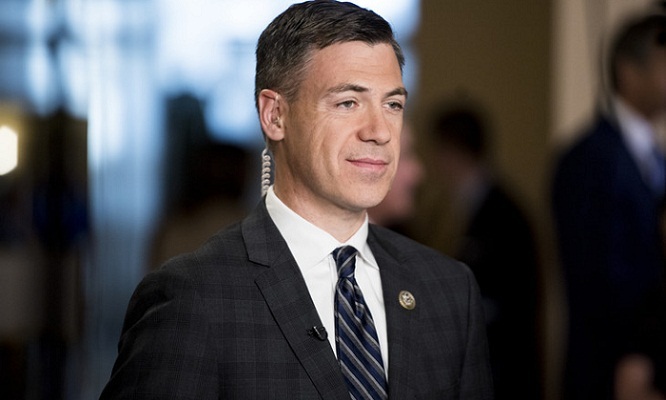 US Congressman Jim Banks has placed a resolution in the House of Representatives expressing concern about the threat posed to democracy and the democratic process by theocratic groups operating in Bangladesh. The resolution, placed on November 20, also called on the government of Bangladesh to stop radical organisations, such as Jamaat-e-Islami, Islami Chhatra Shibir, and Hefazat-e-Islam, who pose an ongoing threat to the country’s stability and secular democracy. The resolution submitted by Banks was referred to the Committee on Foreign Affairs. On January 3, 2017, Congressman Banks began representing Indiana’s Third Congressional District in the US House of Representatives. Banks currently serves on the House Armed Services; Veterans Affairs; and Education and the Workforce Committees. The resolution called on the United States Agency for International Development and the State Department to halt all partnerships and funding arrangements with groups affiliated with Jamaat-e-Islami, Islami Chhatra Shibir, and Hefazat-e-Islam. It called on the government of Bangladesh to heed the Bangladesh Election Commission’s request to ensure security for minorities and maintain communal harmony for a peaceful election. The national election in Bangladesh will be held on December 30. The resolution acknowledged the victims of the 1971 War of Independence and the spirit of secular democracy on which Bangladesh was founded. It mentioned that Bangladesh achieved independence in 1971 and established a secular democratic state, which is home to over 163,000,000 Muslims, Hindus, Buddhists, Christians, and atheists. The freedom was won at the cost of approximately 3,000,000 deaths, more than 10,000,000 displaced, and 200,000 women raped, many at the hands of Islamist militants led by Jamaat-e-Islami, the resolution reads. It also mentioned that Bangladesh plays a critical role in the safe and voluntary repatriation of over 800,000 Rohingya Muslims who have taken refuge in Bangladesh from religious and political persecution in Myanmar. The resolution mentioned said religious minorities were targeted by the Bangladesh Nationalist Party, Jamaat-e-Islami, and Islami Chhatra Shibir, during previous elections, as a result of which 495 Hindu homes were damaged, 585 shops were attacked or looted, and 169 temples were vandalized between November 2013 and January 2014, according to the Bangladesh Hindu Buddhist Christian Unity Council. It also mentioned that Jamaat-e-Islami activists have been involved in recent attacks on religious minorities in Bangladesh. Religious extremists have also attacked Buddhists, Christians, and Ahmadi Muslims and the extremist group Hefazat-e-Islam is organizing a movement to fundamentally transform Bangladesh from a secular democracy into a totalitarian theocracy, it said. It said Jamaat-e-Islami, Hefazat-e-Islam, and other theocratic extremist groups pose an immediate and ongoing threat to Bangladesh’s stability and secular democracy, and religious minorities remain at grave risk of continuing violence.